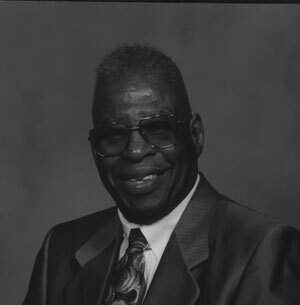 James Hamilton Blackshear YOUNGSTOWN – There will be a funeral service at 11 a.m. Thursday at the Third Baptist Church for James Hamilton Blackshear, 81, who departed this life Saturday, July 10, 2010, at Forum Health Northside Medical Center. Mr. Blackshear was born Nov. 5, 1928, in Youngstown, a son of James H. Sr. and Bertha McCloud Blackshear. He retired as a letter carrier for the U.S. Post Office after 32 years, retiring in 1987. He was captain at Youngstown Club, retiring after 35 years in 2003, and he was a waiter and bartender for Tippecanoe Country Club. He was a member of the church and Covenant Masonic Lodge No. 59, was an avid Cleveland Browns fan and a lover of Jazz. He served in the U.S. Army and was known as a gentleman by all. He leaves his wife, the former Beverly A. Thomas, whom he married July 29, 1950; children, Gail J., James W., Robert V. Blackshear, all of Youngstown, Gerald B. (Cynthia) Blackshear of Pittsburgh, and Terri D. (Timothy) Tarr of Vienna; 12 grandchildren; seven great-grandchildren; and a host nieces and nephews. He was preceded in death by his parents; a son, Richard A. Blackshear; a grandson, Christian Blackshear; two brothers, McKinley and Wesley Blackshear; and three sisters, Gladys Revish, Thelma Guilford and Dorothy Watts. Calling hours Wednesday from 5 to 7 p.m. at the F.D. Mason Memorial Funeral Home, where Masonics will hold a memorial service at 6 p.m. Friends may call one hour prior to the service at the church.